I’ve been on a tight schedule lately but I wanted to take a minute to share this Primetime Live report from 1991 featuring virtual reality. There’s nothing really laughable or off-base about the report, which in itself is impressive; most of these ‘official’ reports of emerging technologies are the clunky equivalents of the chaperones dancing with the kids at the school dance. The reporters usually don’t “get it”, and you could argue that these guys don’t either, but the segment comes off as inspired and optimistic about the future of VR tech. And for good reason – it was a promising idea then and continues to be now. What is laughable is seeing how far we’ve come since 1991. 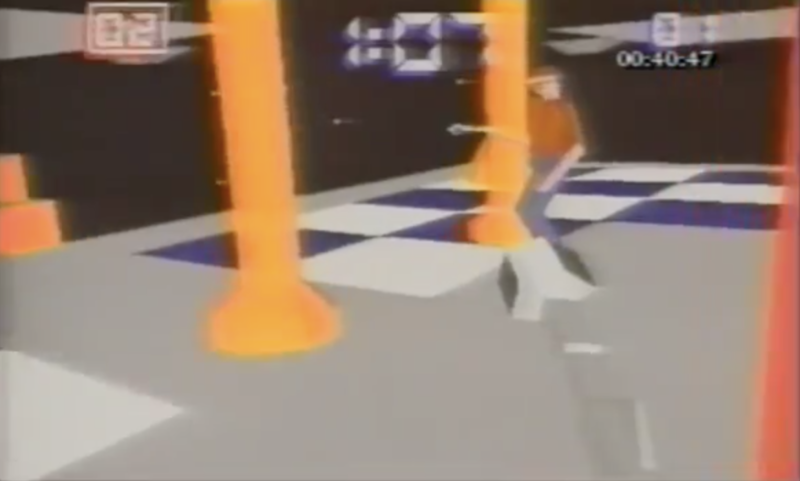 These graphics are nothing to be ashamed of given the era, but this segment nods to a culture that embraced this level of fidelity as the final destination of the technology (see The Lawnmower Man). The thought of some rich dude shelling out $50,000 for a rig that could pull off this level of immersion is, well, the nineties in a nutshell.